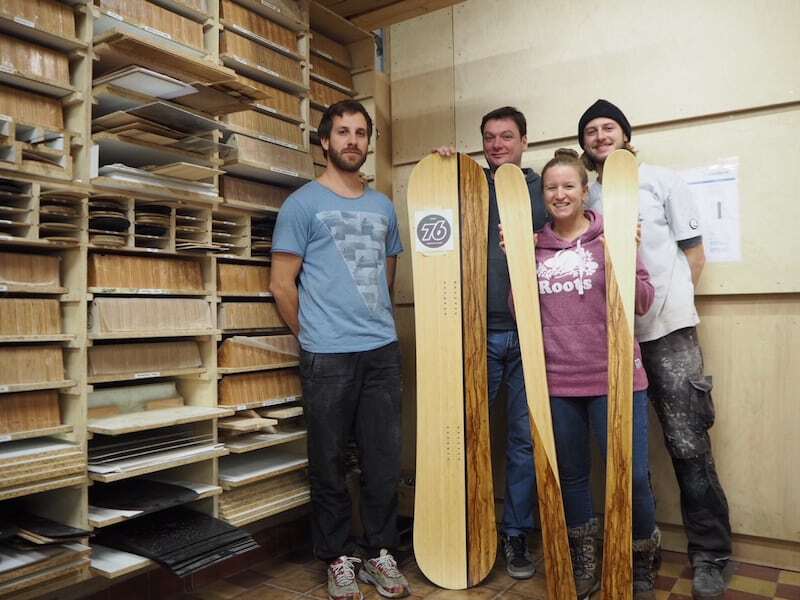 Creative Travel during winter: Learn how to build your own ski in Innsbruck, Tirol, Austria! And off I went. Meeting Gerhard, Chris & Simon. Cool guys, like, no big deal about using all the fancy boys’ tools in the super duper workshop. And me next to them. Grinning broadly, asking questions, filming and taking pictures. Hardly any manual experience whatsoever, let alone in building ski. But it didn’t matter one bit! Because my boys have honestly and truly taken great patience in teaching me all I needed to know to do things for myself; I’d say Gerhard’s compliment after cutting out my own ski with the industrial pad saw was a truly honest one. Oooh, the life …! Highly focused: Cutting out your own ski with a pad saw requires a bit of an effort, but can really be done by just about anyone. I do recommend you to do something really crazy, outstanding and truly special for you, every once in a while. It’s been 30 years since I first learned how to ski. After walking, skiing. As a two-and-a-half-year-old, like my parents, both of them passionate skiers themselves, like to emphasise. At fifteen, I took a liking to snowboarding, and only recently reacquainted myself with my “old flame”, skiing. Well, you know what they say. Old love never dies, as my ski report from Kitzsteinhorn / Zell am See in Salzburg will tell you. 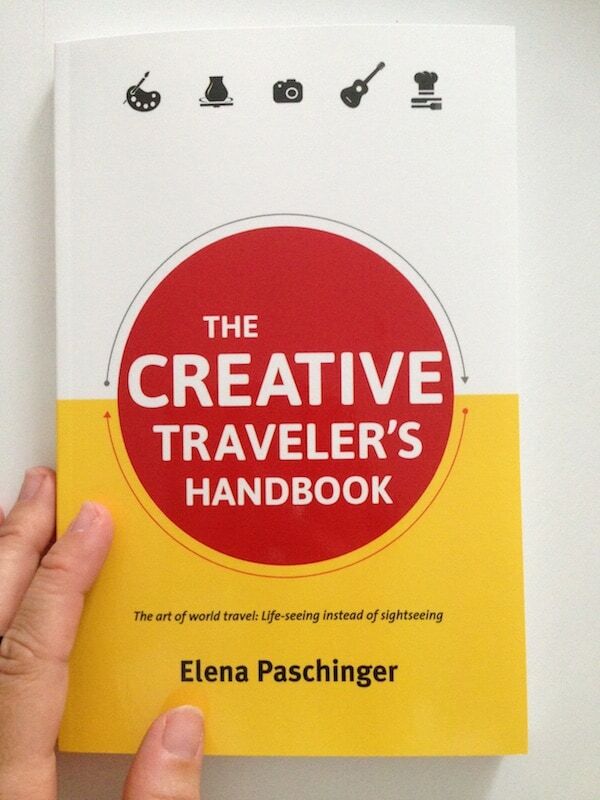 Besides, I have really become known as “the creative traveller” since, always on the lookout for truly exceptional, interactive cultural experiences while travelling. It was about time to marry those two passions, right? 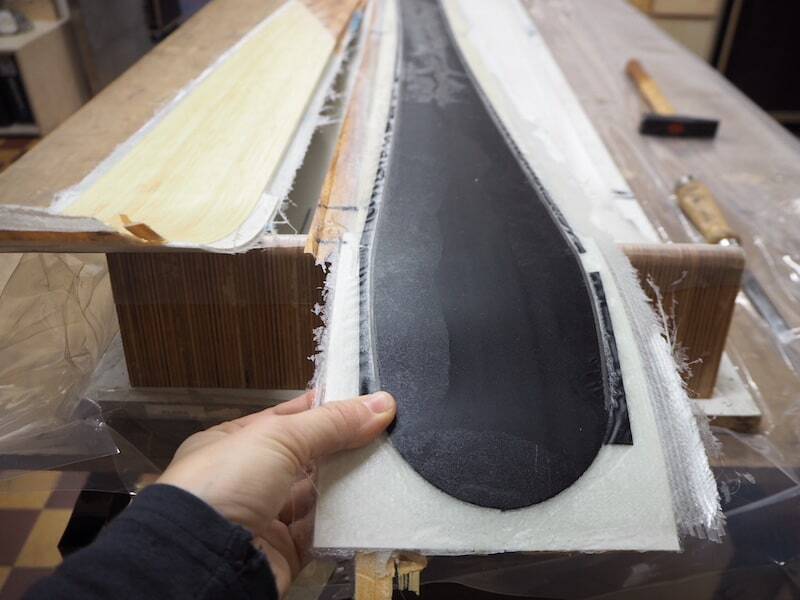 Talking about creative travel in all its facets: Did you know that building your own ski starts with glueing all kinds of material ..? … and after cutting, sanding’s the thing for your ski to become really soft and shiny! Do check out the SpurART website, too: http://spurart.at. What a unique experience it has been! Now waiting to have my ski back with a final, laser-cut logo edged on them, the bindings, of course, and then off showing you a few turns on the powder slopes ..! And you: Would you go about building your own ski one day? There is a Christmas market in the town of Wels, Upper Austria, that you simply cannot miss. Travelling to #LaBelleFrance just ahead of Xmas: A quick hop from Austria to the Atlantic Coast.